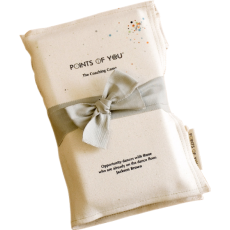 - Deck of 65 inspirational cards, each depicting a visual point of view and a theme that touches our lives. - 165-page, full-color book presenting a “surround-view” of each theme through stories, quotes and coaching questions. - Process Maps laying out four powerful processes to guide the path of exploration. - Focus Notes for valuable insights and action items. - A canvas case, soft yet durable, made of recycled, biodegradable and environmentally friendly fabric. - Free access to online support, guidance, ideas and training on how to use The Coaching Game in professional settings.